Head on over to Christina Fox’s blog for the first installment of a Fit to Burst blog tour (and give-away!) Thanks to Christina for her review, and Q&A! Hooray for Blog Tour!… I was especially encouraged by your answer to the last question… Thanks, Rachel! 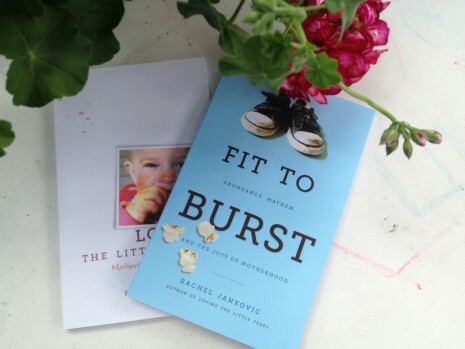 I’ve just finished reading Fit to Burst for the 2nd time. Such an encouragement! Thanks! You refer to joy and laughter a whole bunch, and I realised how little I laugh and my lack of joy. I love what I’m doing, but simultaneously find it pretty tiring and intense. I want to be a laughing mom, but I don’t feel like laughing most of the time, and I’m not sure where to begin. Those were great interview questions, and answers. Thanks!